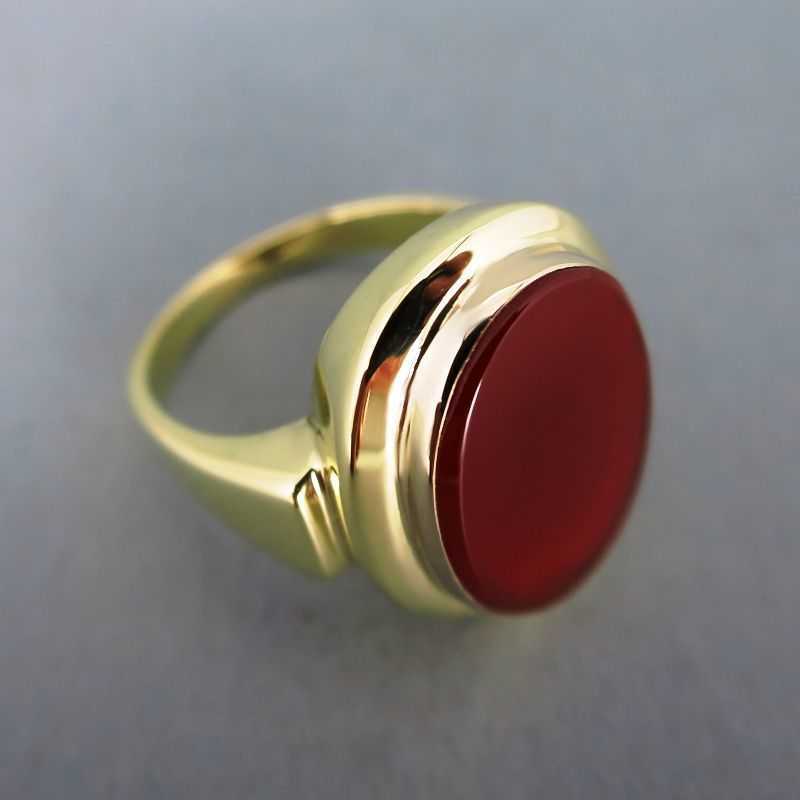 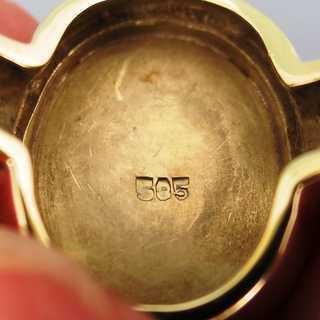 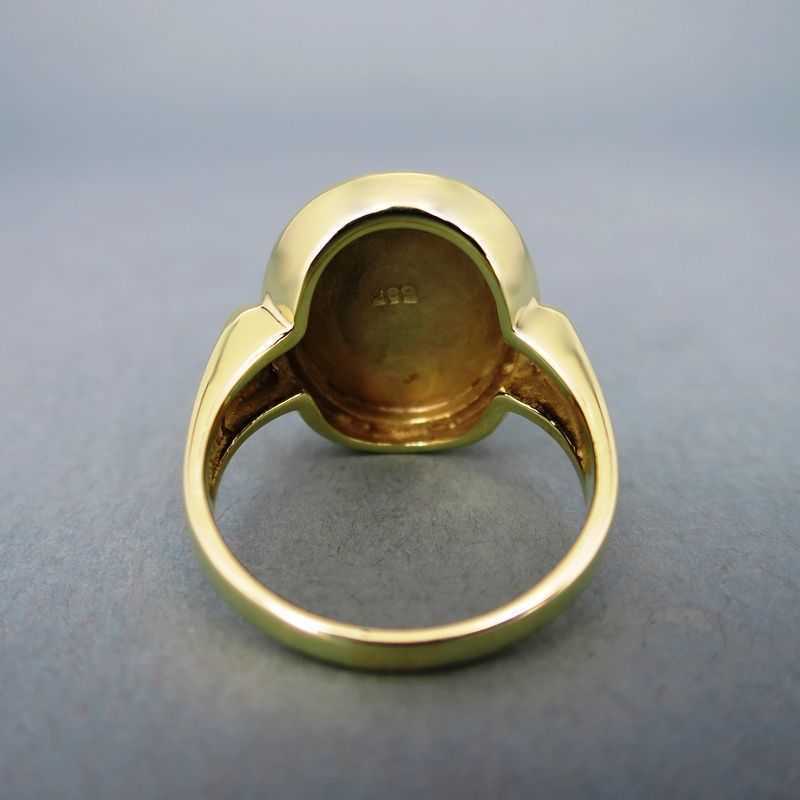 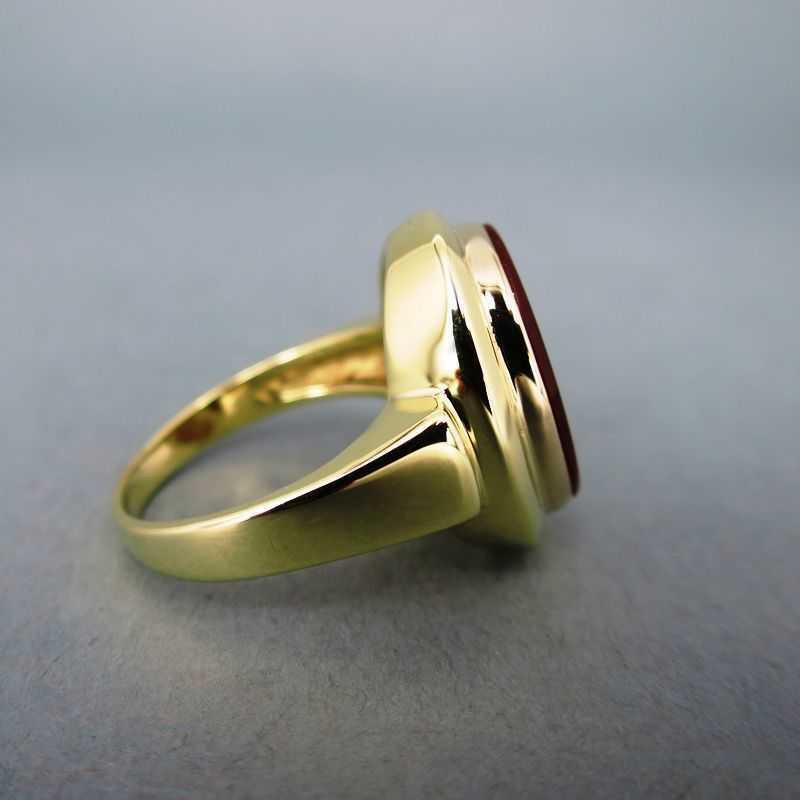 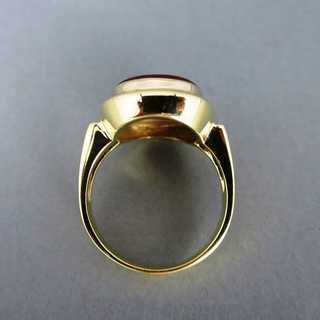 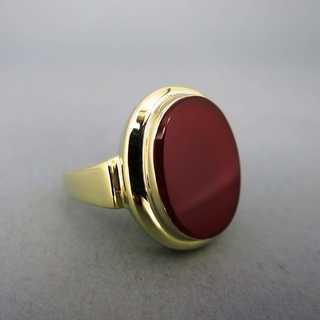 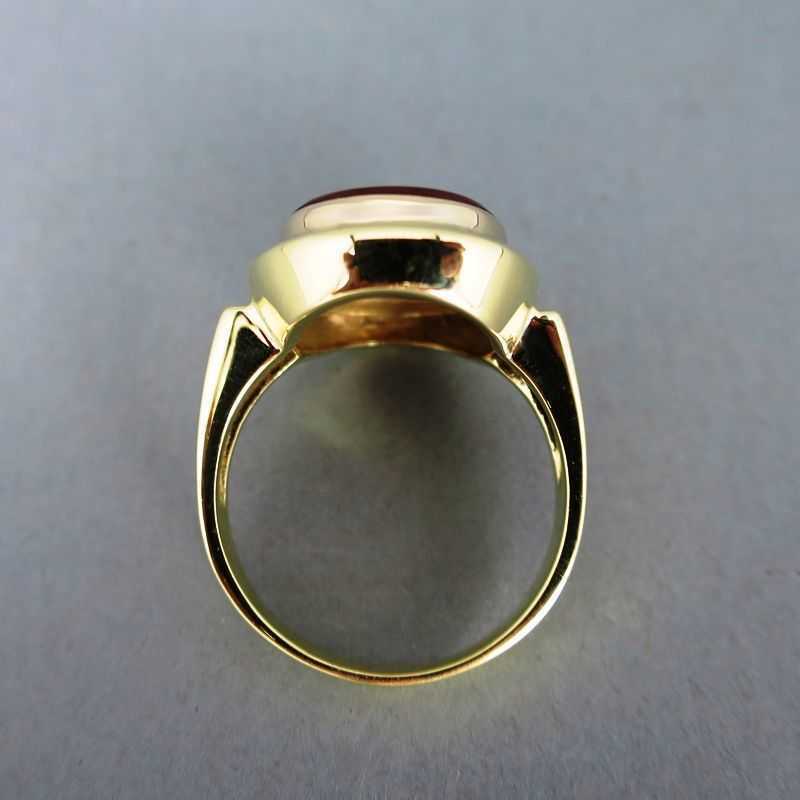 Elegant signet ring with pure design. 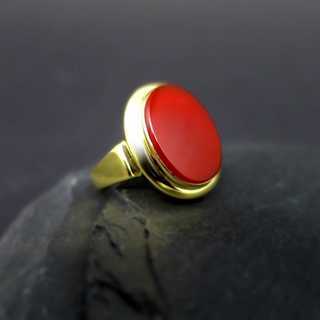 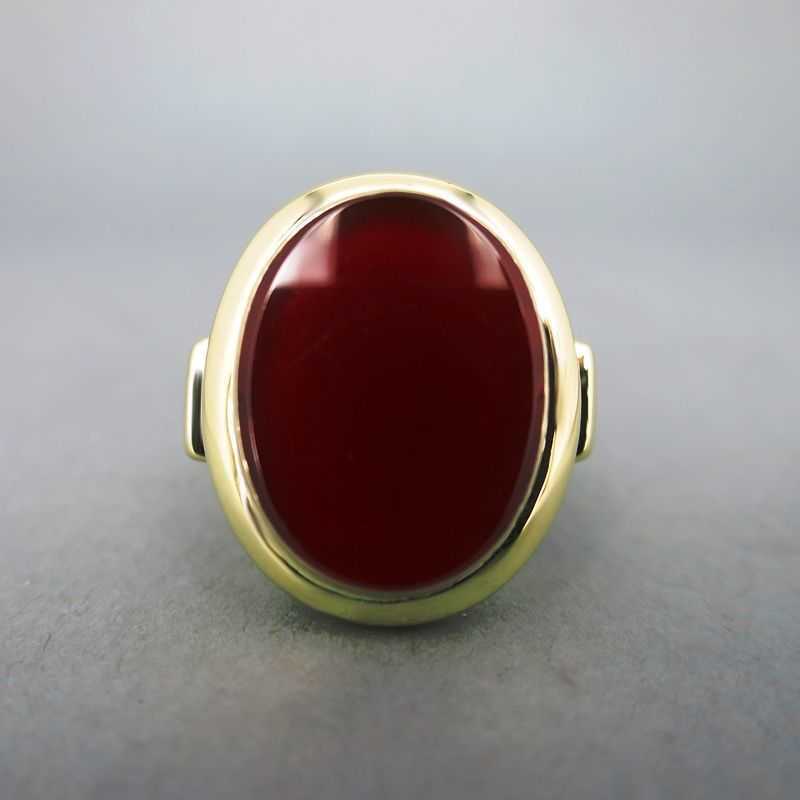 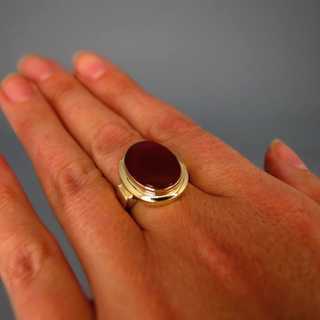 Oval red carnelian slice in stepped bezel setting is hold by massive, slightly gradual ring hoop. The stone is not engraved.